The Certificate in Nonprofit Management is a non-credit program that provides an understanding of the basic skills needed to succeed in management positions within nonprofit and health care organizations. All courses provide theory and practical application. 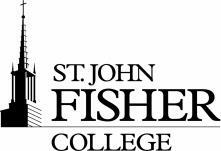 Classes are held on the campus of St. John Fisher College. Are seeking increased management responsibilities in their organization. Want to increase their foundational knowledge of nonprofit organizations. Are interested in enhancing their skills and sharing their experiences with others who work in nonprofit organizations. Are considering pursuing a master’s-level management program and would like to create a solid foundation for their study. ALL classes take place on Thursday mornings, 8 to 9:30 a.m. There are no online/remote options at this time. Each course is offered only ONCE per calendar year. Courses meet on the campus of St. John Fisher College in Pittsford, New York. Two courses are offered per 14-week college semester and one course is offered during the summer semester. The two courses meet on alternating weeks with each course meeting for a total of seven weeks. All courses are conducted in a small-group format by faculty with extensive experience in nonprofit management. You may take the courses in any order. For all courses, attendance is required at a minimum of 5/7 class sessions to be considered for a passing grade. The Certificate in Nonprofit Management consists of the following five courses. To receive the certificate, participants must enroll in the certificate program and successfully complete all required courses. Participants who take courses but do not formally enroll in the certificate program will receive a certificate of accomplishment for each course they complete. This course introduces types of nonprofit organizations, and covers mission and vision statements, the board of directors' role, staff and volunteer recruitment, tax and tax-exempt status, and common financial resources. This course helps students gain an understanding of philanthropic models and fundraising practices, and introduces contemporary dynamics including generational differences in donor motivation, corporate social investment models, and the impact of technology. This course provides a broad overview of human resource management, including fair employment law, employee recruitment and selection, performance appraisals, discipline, job analysis, compensation, and labor relations. This course provides an overview of necessary communication skills, such as delivering oral presentations and conducting effective meetings. This course covers the unique aspects of reimbursement sources for nonprofit organizations and how to interpret and use financial statements. This course also covers how to develop, use, and evaluate budgets as they relate to nonprofit organizations. To enroll in the program you must complete an application and registration form. Applications will be processed upon receipt by the Office of Graduate Admissions until two weeks prior to the start of the semester or until the course is full. Applicants applying after the stated deadline will be processed based on space availability in the program. Both the application and registration forms are required when applying to the program and registering for a class the first time. Once a student has been accepted into the program, the registration form is all that is needed in order to take additional classes. The cost is $300 per course or $1,200 for all five courses. Textbooks or other course materials are not included in the $300 cost. A bill can be generated for individuals needing a statement for employer reimbursement. In order to be eligible for a refund, written notification of your withdrawal from the course or courses must be provided to Melanie Phillips within one week of your intent to withdraw. Written acknowledgment of your notice will be provided.